Javier's ever-lasting passion for the future, coupled with his travels and experiences, enable him to be "one step ahead", and he has learned to share his experiences with others through his writing and presentations. Javier is the author of the book "Mobile, Domain and The Future", and an avid follower and forecaster of trends through his blog Trendinews.com, featuring more than 2000 posts on a wide range of topics from Psychology to Robotics. Javier's predictions on "Mobile, domains and the future"
" In fact, our mobile phone will soon have all the capabilities of current UMPCs and desktop computers and more, because in the future, your phone has become your main computer." The current economic depression, and the contagious spread of banking insolvency leading to the collapse of Lehman Brothers. Put simply, many more banks and governments than ever before are, already, technically broke. Depending on where you live, in some countries much of the money needed to run certain cities at the municipal level for many years to come, is gone. Much of the money needed for citizen's pensions…is gone. Much of the money needed to subsidize government programs, provide unemployment benefits or vocational training, build roads and hospitals…is also gone. And these are just a few examples of what is there to come. Remember that this is your money in the bank, your pension, and your hospital…"
"Regulators are late on this issue, but with the explosion on mobile transactions in the coming years, I can see them speeding up the efforts to work on a unified front." "The growing popularity of social networking sites is influencing not only the products consumers buy, but also the path they take to obtain those products, including the websites they visit." "In any case, the worst thing about the crash to come is not the economic impact of it, or the fact that it will spread quickly, affecting more people, in more places than ever before, at once. The worst aspect of this problem will be the psychological impact that this situation will have on individuals that are today totally unprepared for such a state of things." Javier also predicted the expansion of Google "surrounding us with their services", the decline of desktop PCs against mobile applications...and outlined innovations that would affect the value of domain names including: voice input, predictive input, social network, and geo-detection. He also brought our attention to the growing market consolidation that we have seen happening in the last few years's technology landscape, leading to a "winner takes it all" situation in which small companies find it increasingly difficult to compete, survive and thrive. "provided that you can spend enough money associating your service with your website in peoples' minds. Usually it is just a matter of time before "online videos" equals "youTube" and "online auction" equals "eBay" on consumer's minds." "As things are today, it would be fair to assume that Internet portals like Google and Yahoo would have the upper hand on how we access information in the future. After all, if their search apps trace our mobile phone signals and user id, finds the nearest train station, then displays the timetable and prices, reducing the need to tap keys or search web pages…how many people will resist using them, going back to the old way of searching information?" The emergence and consolidation of "FREE" as a business model, in exchange for personal data. "Regardless of the moral implications of providing things for free, or the quality of the content provided, it is clear that free products are here to stay. Even if the provision by individuals of free services in an open, globalized, networked and capitalist economy could be regulated -it cannot- companies have always been using the "free" concept for a long time in their promotions in exchange for personal data, market research information, or even just the possibility that the prospect that uses a free product today may pay for it tomorrow. Thus, it is important that when analyzing an industry to get in as content providers, we pay close attention to the vulnerabilities of that particular industry to the "free" model, or at least, pay close attention to any new entrant in our market that offers a free or subsidized business model." In April 2004, a full eight years before technological unemployment articles were common, Javier wrote the essay "Your Job will go too...but you can do something about it" -forecasting the current economic crisis, and the impact of offshore outsourcing and automation on job stability. In July 2006, it was featured in the 100bloggers.com website. Javier's diverse articles on other areas have also been featured on a wide range of websites, earning him "expert status". In 2007, Javier published several articles on different business, technology and future-related subjects, including business strategy, robotization and the future, the effects of social networking on small businesses and society, Google, Facebook, Digg, the Apple iPhone and domain name strategies for success. 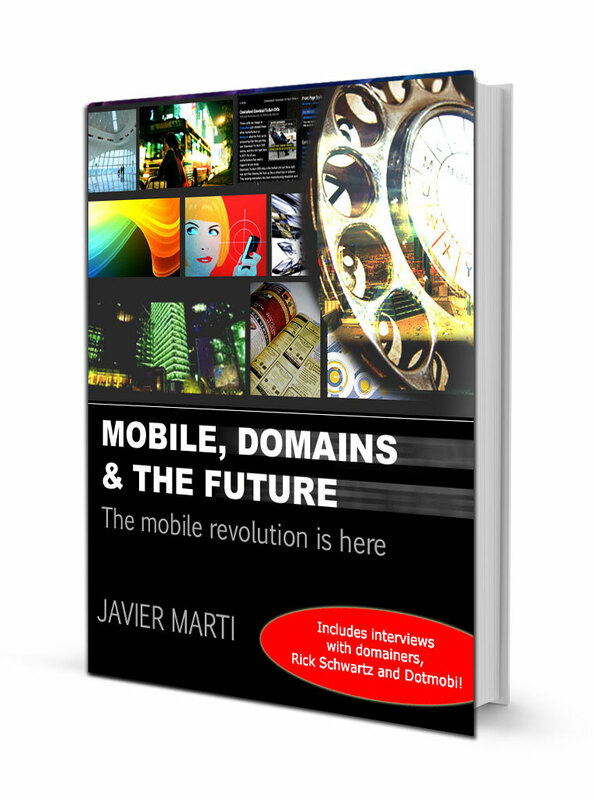 What readers say about the book "Mobile, domains and the future"
"Awesome book about. Great job!" Do you feel depressed, or simply not as happy as you could be? Do you feel you have not reached your full potential in life? If so, this book will help. 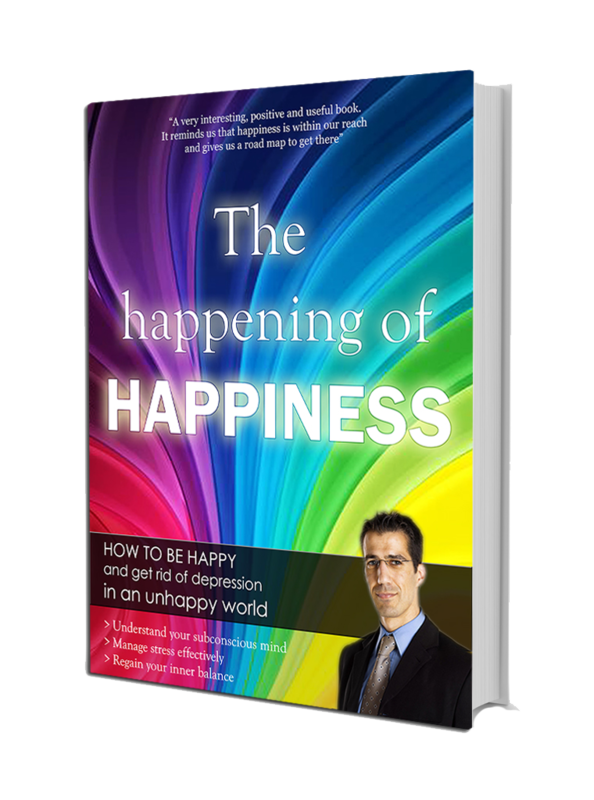 Javier's book covers every area of our quest for life fulfilment explaining in simple language every aspect of happiness: psychological, physical and spiritual. Javier will also guide you asking you and answering the really important questions that will help you bring clarity and purpose to your path towards happiness. •	More than 70 questions to help you see what changes you can do to your life, starting today! 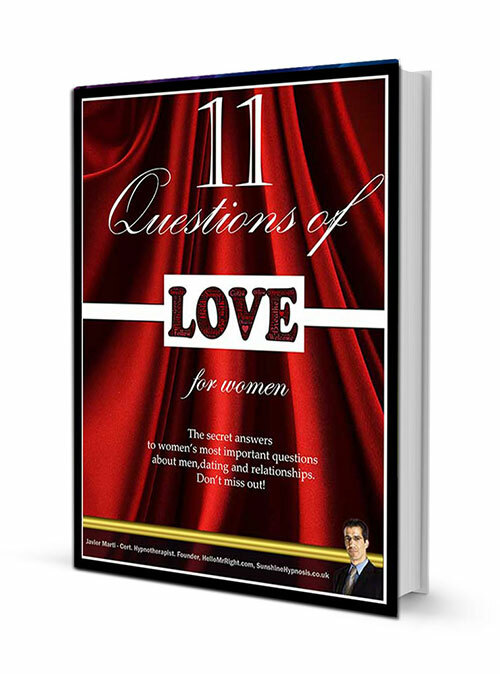 "11 questions of love, for women"
Is it you, or is it him? Would you like to improve your relationships and be more successful in love and dating? If so, this book is for you! Find the true answers to unresolved questions that you have asked yourself and others in the past. Discover answers to new questions that you may not have ever thought to ask! Understand men's psychology, find love, and reignite the passion in your relationships. Enjoy happy, healthy, and long-lasting relationships. Reveal truths about men from an abundance of real-life experiences. Learn easy-to-apply, practical steps to create, maintain, and develop a healthy and long-lasting relationship. Gain clarity through essential knowledge of how men think, feel, and behave. Move toward an improved love life with certainty and conviction.